The days are getting colder and the nights are drawing in… Yep, winter is well and truly on the way. The most important purchase of the season (apart from your Halloween costume and Christmas jumper)? The winter coat. For that reason, I’m so unbelievably picky when it comes to choosing my perfect coat. I’ve been on the hunt since September but I still can’t seem to make a decision. If only I was rich and could buy all six. I’m a sucker for navy duffel coats, so the navy peacoat from Next was always going to make it onto my wishlist. But I have tried to branch out and have a look at other colours and styles, and surprisingly, H&M has been absolutely on point, with some gorgeous options. I especially adore the grey textured coat in the bottom right. It’s effortlessly sleek but at the same time looks so cosy! I’m going to need your help with this one! 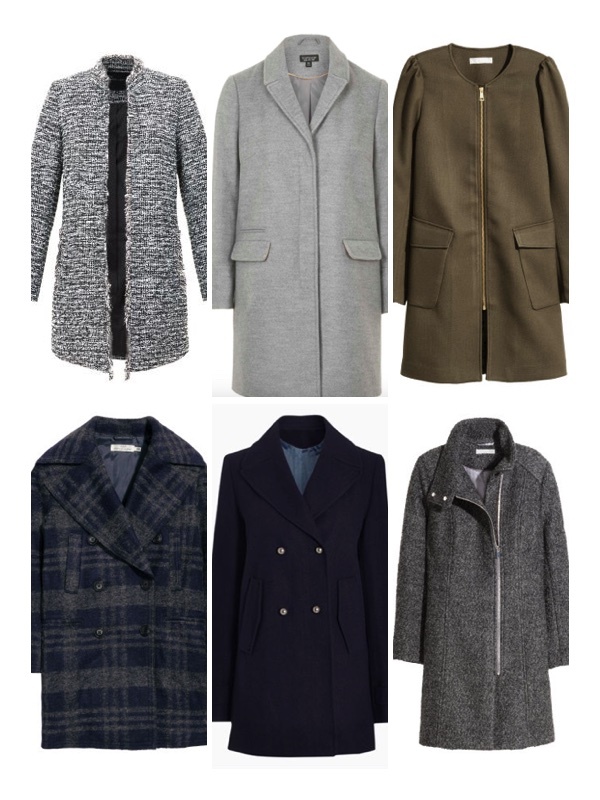 Which coat should I go for? The grey coats are gorgeous! I adore coats! I only wish I lived in a climate that allowed more coat wearing! Loving the navy one from Next.